These are some common questions we often get asked. We’ve put them down here so you can quickly get the information if you need it. However we are just a phone call away to discuss your specific sign needs. We are open Monday through Friday from 8.30am to 5.00pm. We require a 50% deposit on all orders. Quotes are done as quickly as possible and are usually returned within 24 hours. What photo format works best? Ideally artwork should be vector eps or Adobe Illustrator artwork. Illustrator is our preferred vector application. Fonts should be outlined and PMS colour references should be supplied. Can you do colour matching? Yes we do colour matching. How long before my sign is completed? We will give you up to date progress reports to get your sign completed and back to you by your deadline. Yes we have a full team to meet your installation needs. If your question is not answered here, please be sure to contact us. 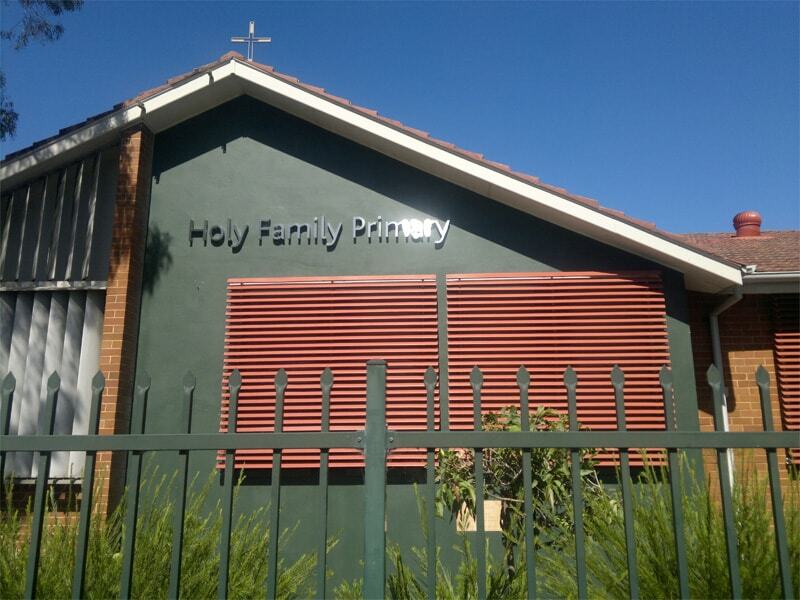 Call St Leonards on (02) 9906 6507 or Call Parramatta on (02) 9891 1630. In need of a building sign, then join our “mile high club”. 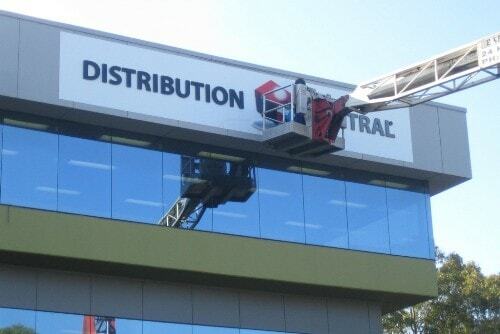 This sign installation required a cherry picker and no fear of heights.